There are as many different types of bows as there are animals they are used to hunt. 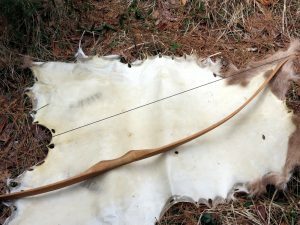 The type of bow used to hunt a deer is designed different than one used to shoot monkeys from trees. They are shaped different, made from different woods, and strengthened with different materials. 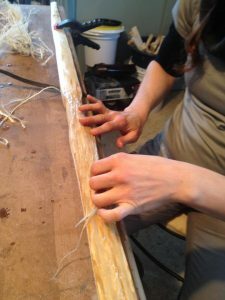 Sinew backing a bow. At Tribal Wisdom.